Considering the fact that, the Galaxy Note8 was launched in September 2017 the launch of the Samsung Galaxy Note9 is not due until the end of 2018. Rumours about the Galaxy Note9 suggest that the smartphone will have new features like truly wireless charging and an In-Screen fingerprint sensor. Now, a leaked image appears to corroborate with the rumours of an In-Screen fingerprint sensor. 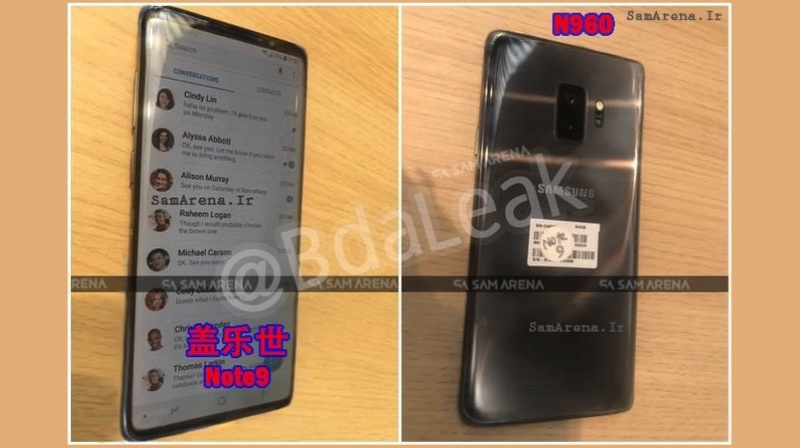 The photo has been apparently taken in Shenzen (China) and is being compared with the Samsung Galaxy S9. 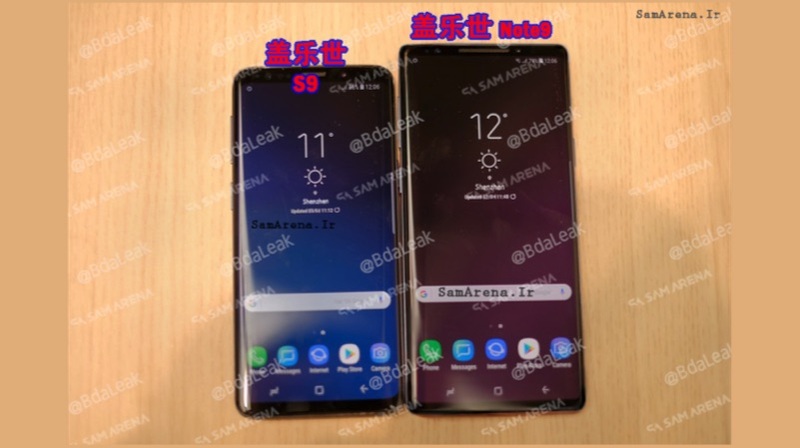 On the front, the device has a wider display, compared to the Galaxy S9. Additionally, the bottom bezel looks much thinner than the one found on the S9. However, unlike most smartphone makers, the company has decided to retain the top bezel instead of opting for a notch. On the back, the phone has a dual camera setup with a couple of sensors. If this image turns out to be legitimate, then the smartphone is likely to have a bigger display in a smaller footprint. The Note9 will also have a 3850 mAh battery, which is much larger than previous Samsung flagships. 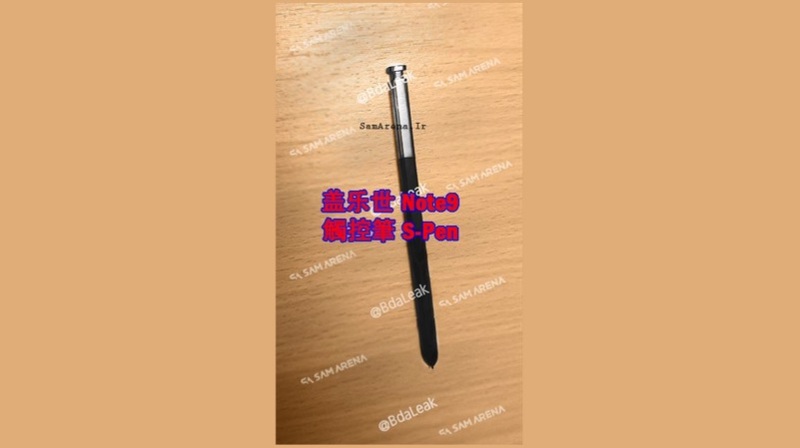 The S-Pen looks similar to the previous one found on the Note8. The phone has a large OLED display, with a probable screen size of 6.5 inch. Like most of the Samsung flagship devices, the device will have a QHD+ resolution display. 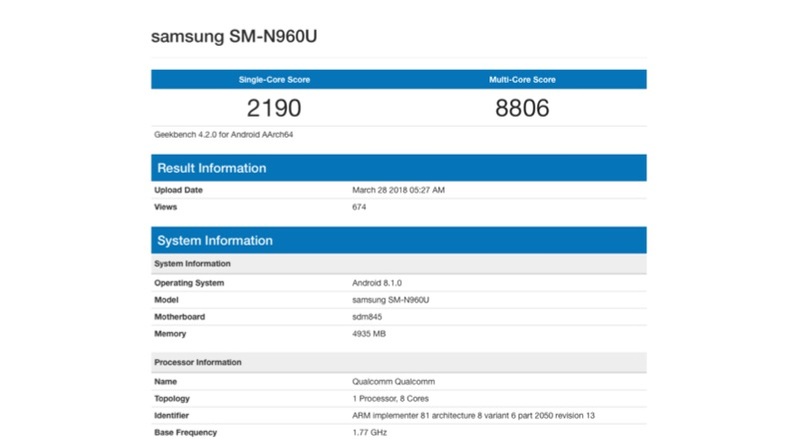 The Galaxy Note9 will either be powered by the Snapdragon 845 or the Exynos 9810 chipset similar to the Galaxy S9/S9+. The Geekbench listing confirms some of the key specifications of the device. According to the listing, the smartphone will have 6GB RAM which runs on Android 8.1 Oreo. The smartphone will have a dual camera setup similar to the Galaxy S9+.